Introducing the Floor Keeper’s concrete floor finishing services using the Diamondbrush Floor Finishing System, by Malish. How would you like a floor that both looks great and can stand the test of time? Our new polished concrete services helps provide a floor thats durable, affordable, and easily maintained. 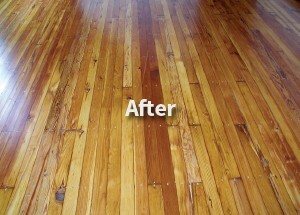 You will no longer have to worry about waxing or coating your floor to keep it smooth and appealing. The concretes durability helps to ensure that it keeps its style for many years to come. While some people may think of concrete floors as gray and boring, that is not always the case. Here at Floor Keepers, we are able to create a wide array of different colors with stains giving it the appearance of stone or marble. This allows for an amazing looking floor that will match the style you want. Using diamond abrasives, we are able to create multiple levels of shine and gloss to match the atmosphere of practically any room. After the initial grinding, we densify the concrete allowing extra protection from staining and water penetration while helping to give the concrete a more polished look. 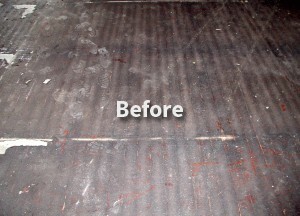 Rejuvenate your concrete floors today with Floor Keepers. Contact Erric at 717-272-3237 for a FREE estimate today! We install new hardwood floors in all shapes, sizes and colors. We can help you select the right type of wood for you, help you purchase your own wood or we can install your pre-purchased hardwood from your favorite retailers or home improvement centers. We can even help you install pre-finished flooring. There is nothing more beautiful than a well-designed and properly installed hardwood floor, but getting the results you deserve takes expertise and knowledge of a competent hardwood floor installer. Floor Keepers has the expertise to make it happen. Whether you want to change the look of your current floor or the finish is old, warn and unattractive, we will make your wood floor look beautiful and strong again. We cab strip it, sand it, and stain it to your liking before applying the final protective coatings. From time to time, you may need a fresh coat of sealant or a good cleaning. Don’t hesitate to call Floor Keepers, we’ll be sure to keep your floor in top-top shape. Out of all the floors you can install in your home or business, Marble, Terrazzo and Concrete floors are the most durable. 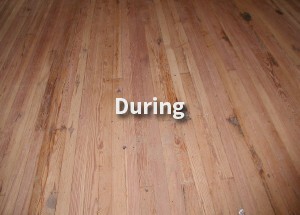 Once finished, they can hold their shine for longest out of all the flooring options. However, they need to be properly maintained to prevent cracking, pitting, and absorbing liquids. As part of our process for keeping these hard floors in tip-top shape, we hone, polish and seal to maintain the floor’s brilliant shine. Diamond honing smooths the marble floor with industrial diamonds, which brings shine to the floor. Honing will also remove scratches, stains and give a more uniform appearance. In some cases honing is all that’s needed to get your stone or concrete looking spectacular again. Polishing gives semi-shining or shining effect to the floor. Polishing is done by industrial diamonds, but smaller graded, than while honing. For marble floors in good condition, polishing can be enough to bring back the shine. Chemical sealing brings a glass-like shine by applying chemicals, which react on the surface of the floor to give it the shine. It also creates micro film on the surface of the floor, which is more solid and durable and helps to preserve the color and the brightness of the floor. Did you know that you can strip and wax vinyl floors? Your old vinyl tiles can be refinished with a strip and wax. However, periodic maintenance with scrub and re-coat or clean and burnish can really lengthen the life of your vinyl tiles. Floor Keepers can install and maintain your vinyl tile floors to keep them looking like new. We use top-of-the-line commercial-grade “sealer and finish” combos for the best results to bring the life back to your vinyl tile floors. The trouble with tile floors is the collection of dirt and bacteria in your grout. No matter what you do, you can’t seem to get the dirt and grime out. That’s where Floor Keepers can help. We can help you scrub the grout lines and and reseal your floor so that you have a protective coating to help prevent dirt and bacteria buildup. We have the right equipment and chemicals to the the job right. Floor Keepers can now help you install and maintain your carpeted floors as well. Wether you need a room in your house cleaned or need a qualified technician to install carpet throughout your house, Floor Keeps has the right team to get the job done. Quality installation guaranteed!